Sanitation has emerged as one of the biggest challenges of the world. Inadequate sanitation has negative impacts on health and environment. In India, the economic burden of poor sanitation is almost half of the total global losses and 5.2% of country’s GDP. The need of the hour is to think beyond the current wave of toilet construction under Swachh Bharat Mission and focus on mapping of excreta and planning and designing for Faecal Sludge and Septage Management. In order to strengthen capacities of Urban Local Bodies, states and other stakeholders, the Ministry of Housing and Urban Affairs (MoHUA) has empanelled 30 Training Entities for rolling out individual capacity building with a three separate capsule spread framework under AMRUT & Smart City Mission (SCM). Centre for Science and Environment (CSE) is a designated Centre of Excellence (CoE) of MoHUA for capacity building and mainstreaming reforms/ good practices under Capacity Building Scheme for Urban Local Bodies (CBULB)scheme since 2009. Since 2016, CSE has also been empanelled as training institution to roll out training programmes in AMRUT cities. CSE is supporting states/target cities for delivery of individual capacity building programmes such as – Strategic training plan based on Training Need Assessment (TNA), research studies/documentation, exposure visit/workshops/seminar for capacitating municipal functionaries and elected representatives. Further, CSE has signed a MoU with Department of Housing & UrbanDevelopment, Government ofOdishato roll out training programmes as per the AMRUT guidelines and as per the training plan. The orientation training for the municipal functionaries of Odisha was held on 12-14th February 2018 (https://www.cseindia.org/amrut-integrated-orientation-training-programme-for-municipal-functionaries-of-odisha-8413). CSE is conducting the customized capsule training on Septage Management under its School of Water and Waste at AAETI, Nimli. The three-day training programmewill focus on the current state of knowledge of this rapidly evolving field and present an integrated approach that includes planning, designing & implementing effective septage management interventions. The training will be supported with best management practices in septage management. 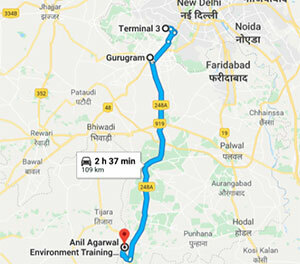 The venue of the training is CSE Anil Agarwal Training Institute (AAETI), Nimli – Rajasthan located at 110 kms distance from Delhi. 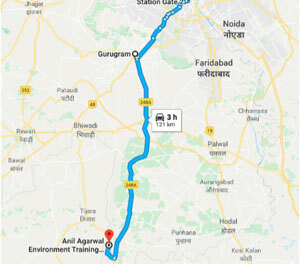 AAETI is a learning, training and innovation Centre designed to find appropriate and affordable solutions to some of the most pressing problems faced by India and the global South — from climate change, air pollution and urban mobility to water and waste management and environmental degradation. The campus also houses India’s first state of the art laboratory for faecal sludge characterization, smart class rooms, faculty quarters and residential facilities for the participants. 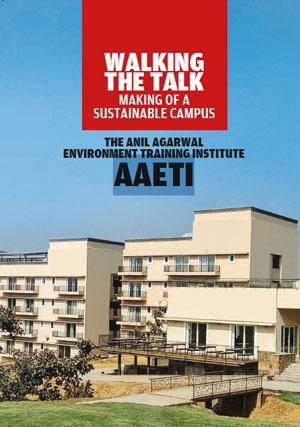 The institute has been named after the late Anil Agarwal, CSE’s founder-director and a leading figure in India’s environmental movement. It aims to build capacities of a range of audiences – regulators, lawmakers, communicators, professionals, students, civil society members and administrators. The training programme is for ULB officials (Engineers and Town Planners) from the state of Odisha. The training will be conducted by state of the art teaching - learning tools consisting of interactive sessions, experiential learning using detailed case studies and group exercises on implementing smart solutions in improving urban services.